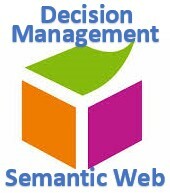 Considering the upcoming conferences, I was asked by Harold Boley to write about a possible integration of Semantic Reasoning and Business Decision Management. Today I posted an article at the RuleML Blog and decided to reproduce it here as well but in a bit more friendly format. On September-2018 DecisionCAMP and RuleML+RR will be co-located again for the third time during the LuxLogAI-2018 summit in Luxembourg. These two events represent different but closely related fields of the knowledge representation movement: Business Rules & Decisions Management and Semantic Reasoning. In this post I want to talk about relationships between these two fields and events.